Scientists have proven that eating healthy increases productivity. This is, in fact, one of the best productivity hacks to adopt. The healthier you eat, the more productive you become. In order to keep your body healthy, you should eat a balanced diet, take exercises and avoid processed and deep fried junk foods. Everyone gets excited when a new email alert comes in. The problem is that emails can distract you from doing your work as it may require your immediate attention. Although checking emails is good, try scheduling time for checking and responding to emails. This style is premised on the understanding that when people sit comfortably in the chairs, they get too comfy and start looking for ways to extend their stay. On the contrary, if you hold meetings while standing, people will be brief and direct to the point as they can see you are busy and that you are sacrificing your time to listen to them. Most managers prefer doing all the work by themselves thereby ending up with trays full of work-to-do. If you have to do all that work within the limited time, chances are that you will not be productive fully. If you are a busy student who works a lot, it is all right to get some help from this site. As a way forward, sort out your work and do only that which requires your involvement and delegate the rest to other professionals. Professional development is crucial to career growth. Times are changing, and new ways of doing things keep coming up. For you to remain relevant and be productive, you have to invest in professional development so as to acquire new knowledge and ideas. Ability to multitask is seen as a virtue, but in reality, it is counterproductive. People admire and envy people who multitask, but the truth is that less is achieved due to dividing their attention to the activities they are undertaking. Suppose you concentrate on one task and move to the next once the current is complete? Many people wake up in the morning hoping to achieve much but end up doing nothing. This is because they do not plan their day. If it is possible, make a plan of all the activities you want to do in the day or the week as lack of planning makes one feel inefficient. Even as we plan what to do, not every activity is vital and urgent. While making a plan, it is then important to prioritize the most valuable activities so that even if you do not accomplish every task in your list, you will still feel that you have accomplished something useful. 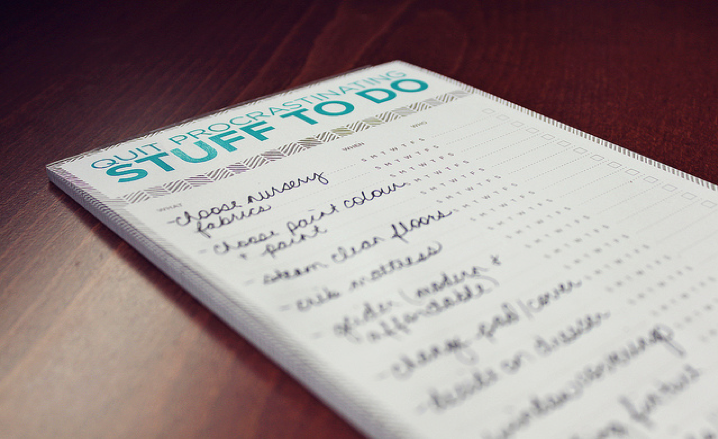 While preparing a work to-do list, there are some tasks that need less time to accomplish, but they make your list appear too long. There are also other small tasks that may pop up in the course of the day but if those tasks cannot take more than two minutes to do them, then start with them to shorten your list. If you spend a lot of time online, then you are aware how distractive ad pop-ups can be. Every time an advert pops-up, you get distracted, and you’re tempted to click on it, but in the end, you fail to accomplish your planned activities. To stop this, you can activate pop-ups or ad-blockers on your browser. If you make similar presentations, reports and respond to emails, you can create a template for your work. The template acts as a guide and will in the process save you time. We are living in the internet era where many things are done online. Each website nowadays requires you to memorize security login details. By doing so, you waste a lot of energy memorizing them instead of doing other useful things. Alternatively, you can download a password manager and save your login credentials.